It is very exciting for me to be joining another new Design Team this month. I am joining some very talented ladies over at http://www.throughthepurplehazechallenges.blogspot.com.au/. This month the challenge is to make a 'funny' card. I'm sure you will agree with me that a bit of humour makes the world a much better place! 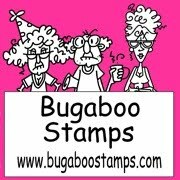 http://www.bugaboostamps.com/ are the sponsors for the month. They have a brilliant range of humorous digis available. I chose the image "Bacon In The Sun" to colour and make into a card. Details for this are under the image. I hope you will join in the challenge and perhaps win a great prize. 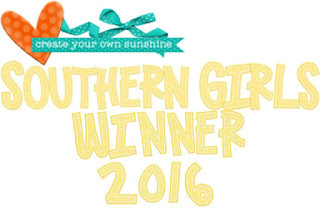 Remember there is always lots of inspiration over at the challenge blog each month. Paper from Studio Calico's 'Here and There' Collection. Cloud die cuts made using Memory Box Dies. 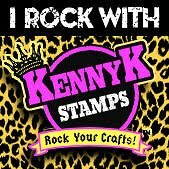 All pieces were edged with Brushed Corduroy Distress Ink. Clouds and papers were layered using double sided tape and foam tape.